Manila, Philippines - Stand-up comedian Krista "Rufa Mi" Aguilar has joined 'The Voice of the Philippines' Season 2 with the blind auditions aired on Sunday, November 9, 2014. The artist from Sampaloc, Manila failed to turn at least one chair. 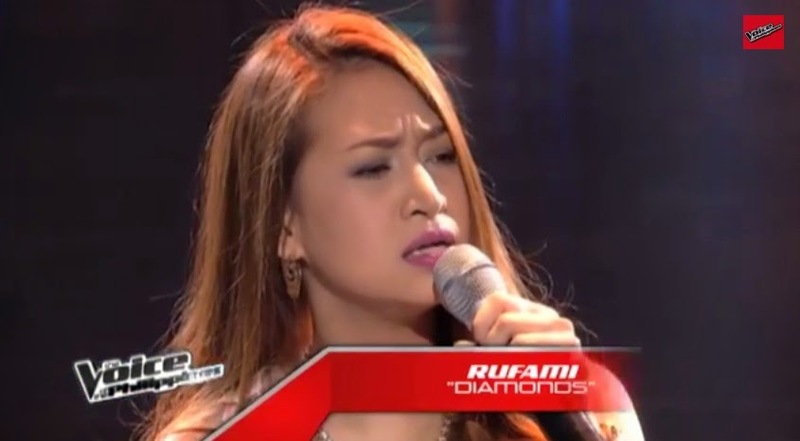 Rufa Mi performed Rihanna's hit song "Diamonds" as she tried to prove it’s never too late for a second shot at fame. This weekend on “The Voice” shows that pursuing one’s dream is not exclusive to ordinary people. Those who have already made a name for themselves and are making their way up can do so. The Sunday's episode of 'The Voice of the Philippines' Season 2 dominates online conversations with '#VoiceWeekend', 'Miro' and 'Araw Gabi' among the trending topics.